There are 2 ways to connect Asana to Everhour: during the signup on step 2 and by going to the Integrations page in your account and clicking to add new integration. Everhour will sync all public and private projects you have access to across all workspaces in your account. 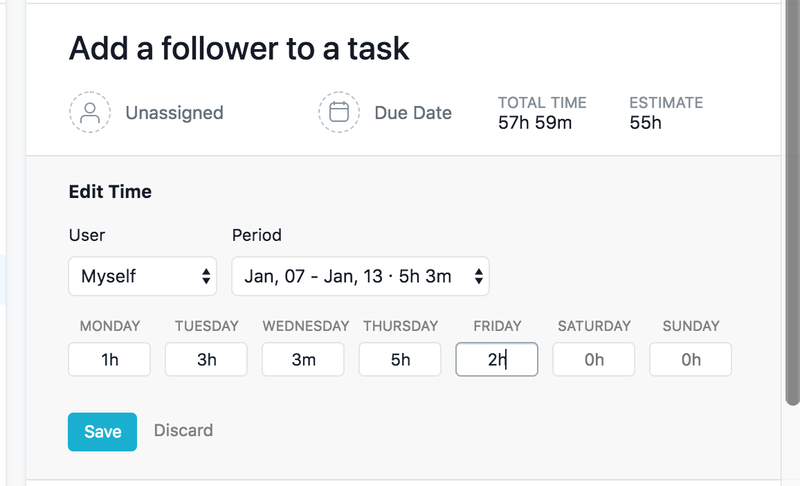 Sync happens periodically and automatically, so all new projects that you create in Asana will be automatically added to your Everhour account with some delay. Everhour also changes the names of tasks or projects, if they were renamed in Asana. Everhour does not connect to your workspace called Personal Projects that we treat as a place to keep individual tasks nobody should see. We don’t allow time tracking in archived projects. We no longer see the connection to such project, so time entries from it disappear from Time page of members and supervisors. Admins see them as archived in Everhour and reported hours remain in reports and other dashboards. To disable your integration with Asana, go to your Integrations page. This option affects only your account, other team members are still able to track time. 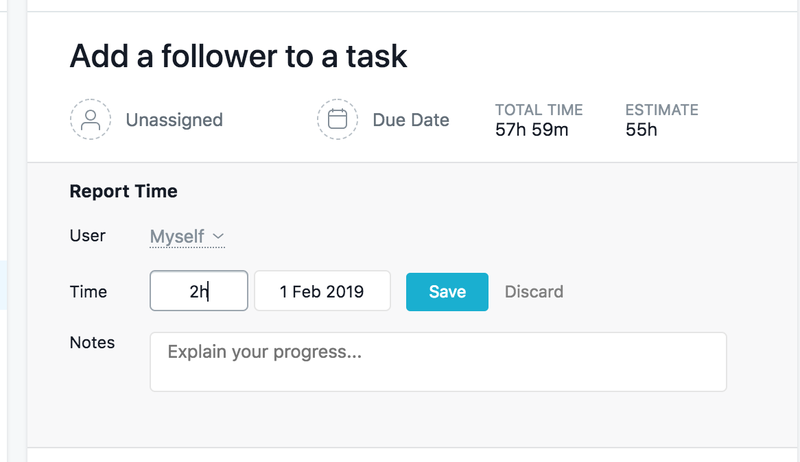 To see the embedded timer in your Asana, you need to make sure you have our browser extension installed and authorized after you established the connection. To check this, open your Integrations page that will show the status of our extension for the browser where you are logged in Everhour. 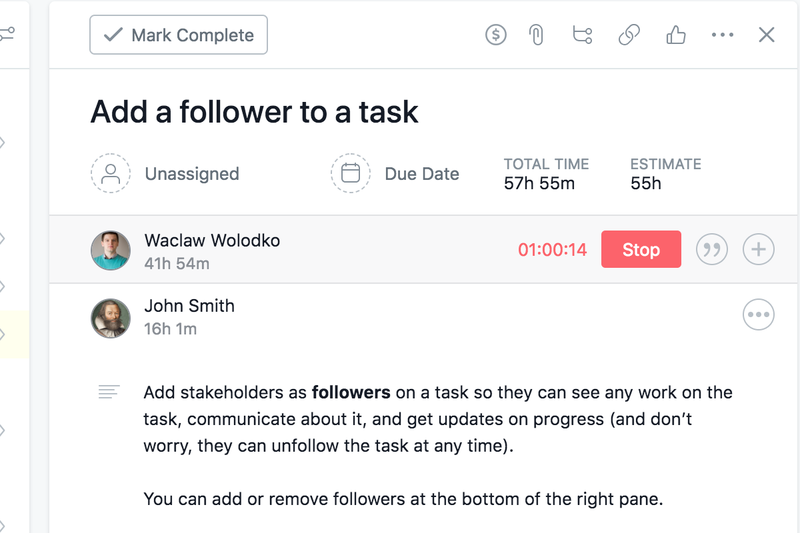 Track time in Asana tasks using the timer and see what others reported into a task. Add time manually or edit previous time entries. Admins can do it for other users. When you add hours, you can submit a note of your progress. Set estimates on your tasks and users who work on tasks. 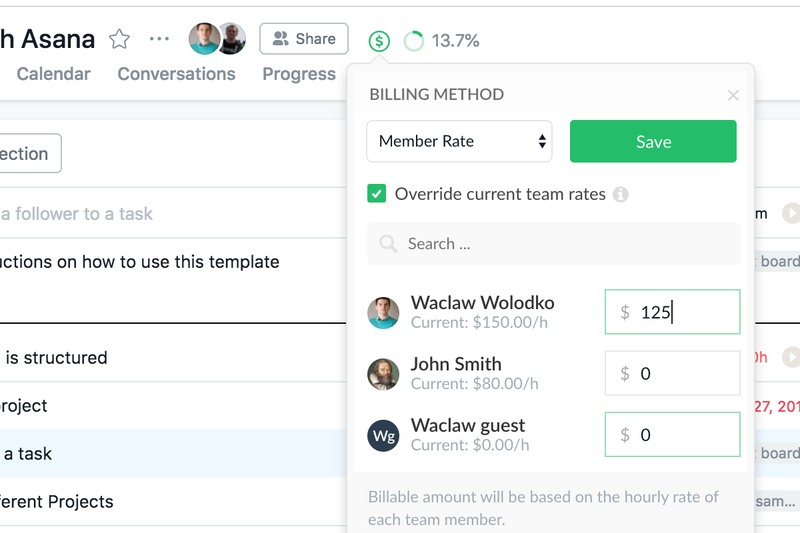 Team Admins can add a project budget and set the billable status for a project. 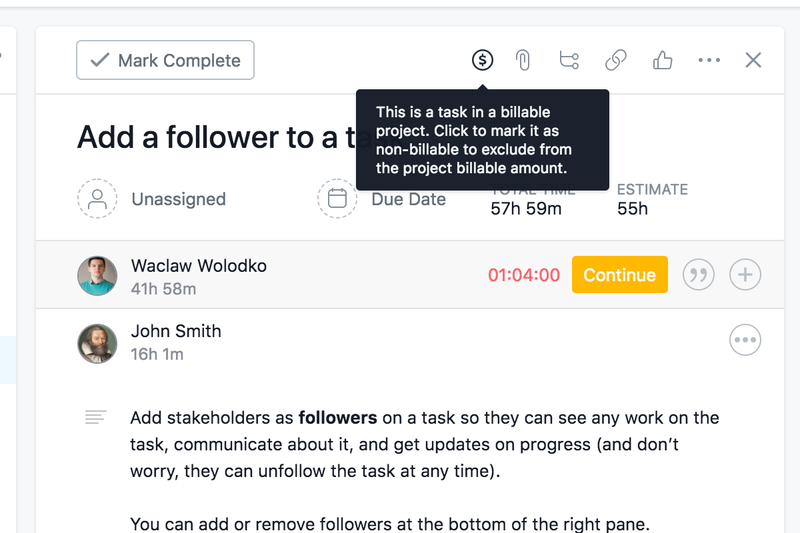 As well as make tasks non-billable in a billable project. There are a number of columns that shows specific data coming from Asana. Workspace shows the name of an Asana team. 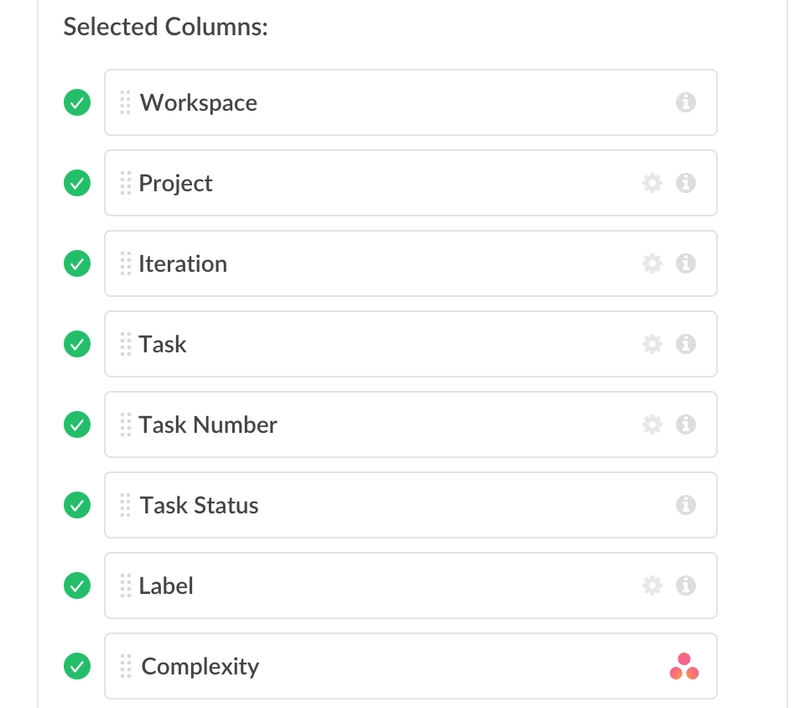 Project and task show the names of Asana projects and tasks respectively. Iteration shows the name of the Asana section/list name. Task number and status show the task id and whether it is open/closed. Label shows the name of Asana tags. 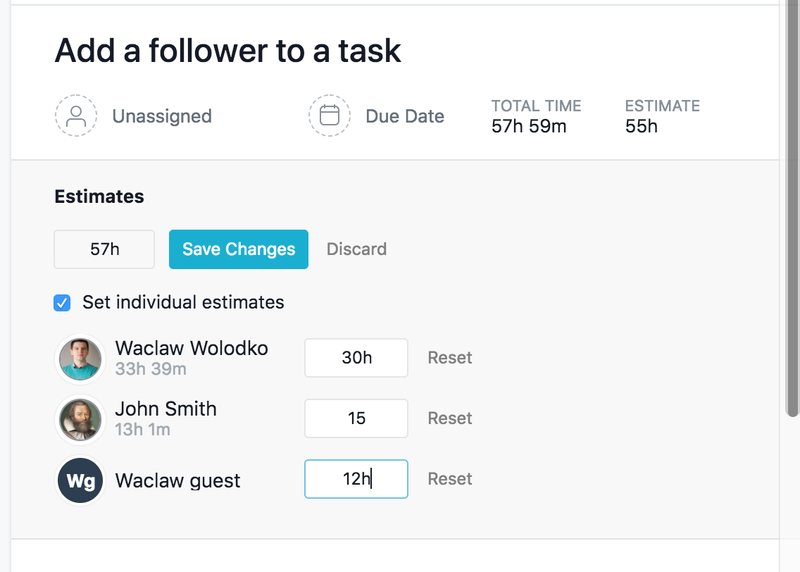 A custom field can be created as a column if you reported time into a task that has this custom field. There are a couple of things you should be aware of. First of all, it is not possible to connect one Asana account with several Everhour profiles. We do that not to allow admins from one team to see what you track in another team. 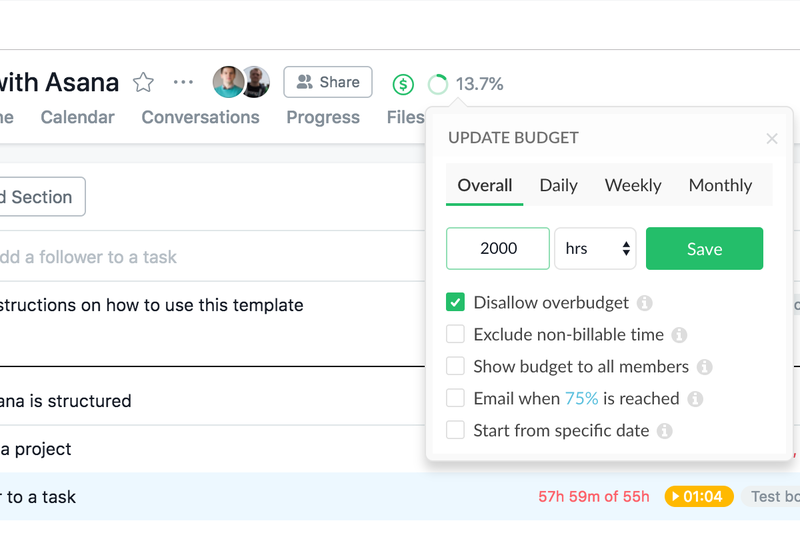 There is also no technical possibility to make a granular workspace or team sync, deciding what projects you wish to connect and where you don’t want to track time. Another important thing is to understand that we cannot always immediately deliver updates you do in Asana to Everhour. For that reason, you need to resync your projects on Integrations when you delete, create or rename a project, and to resync tasks of a project from the Projects page when changes are made inside a project (you renamed a task, added a new label, edited time).